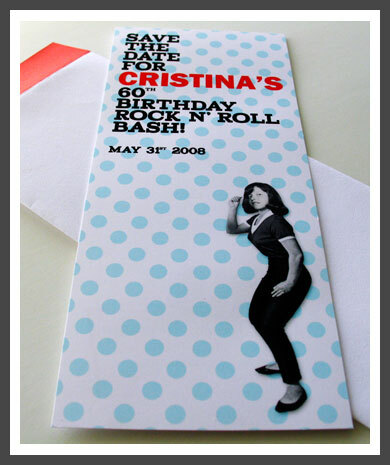 While preparing projects for my soon to be launched website, I had great memories of this invitation I designed for my mom's 60th birthday, in collaboration with relvet. 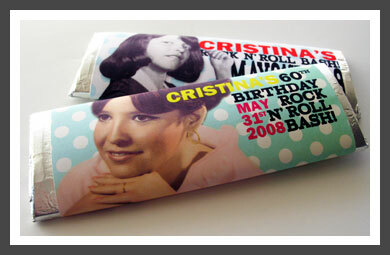 She went all out for her party, remembering the Oldies, but Goodies, of the 60's Rock n' Roll era. From hamburger and hot dog stands to hot fudge sundae stations and hula hoop contests, we knew we had to go all out with the invitation as well. 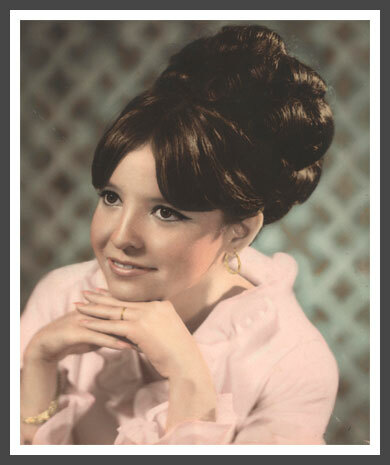 This image of her when she was 15 was the main inspiration throughout the design process because it reminded us of old record covers of the era. 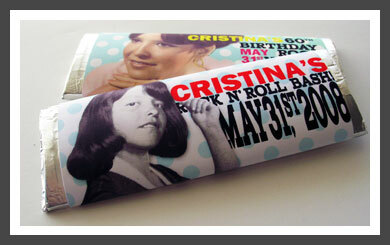 We started out with a Save-the-Date depicting an image of my mom rockin' & rolling. 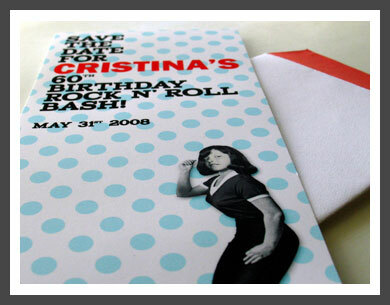 We gave it a modern twist with a polka dot background and large display type. We chose to create the Save-the-Date as a long, vertical piece so it would fit into a standard #10 Policy envelope (we created ourselves) which added to the modern feel. For the invitation itself, we wanted to give guests a taste of the fun to be had and we accomplished this with a sampling of the music they would dance the night away to. 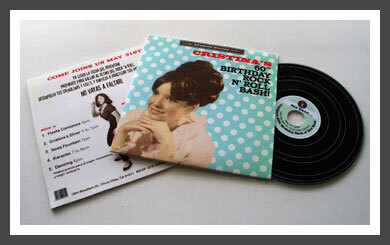 This was a great tie-in to the rock n' roll era with the use of a simulated LP (actually a cd). We kept consistency between the Save-the-Date and the invite with the polka dot background pattern, but in this case we changed the colors to white dots over a light, retro turquoise. with a store logo and all (my logo). 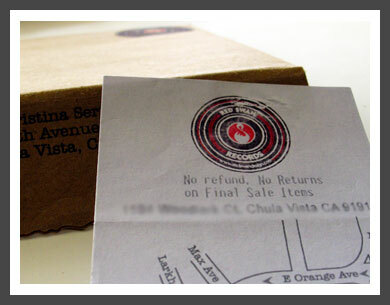 The directions & map were printed on a piece of paper acting as a receipt. 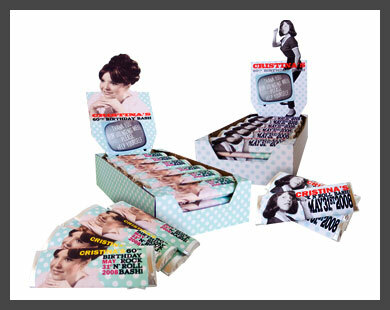 We also wrapped the candy boxes in designs matching the candy bars; these were passed around by my mom so they were easy to carry around. 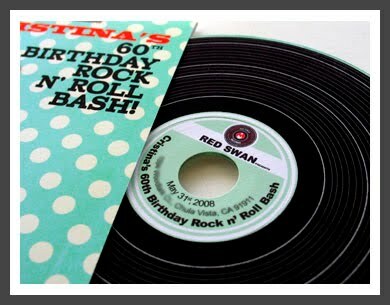 I love the cd's idea, its great how they look like the old records! how can i try to do this? Thanks for the comment Angelica. 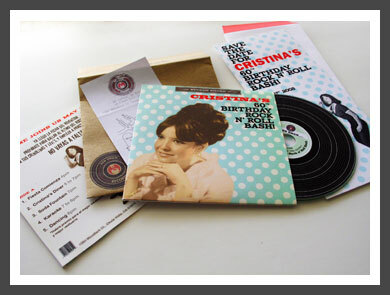 The album effect was done with a cd label. 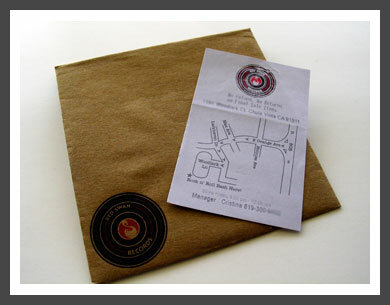 Just design it using your favorite program and print with the cd label templates. Is this a real CD? 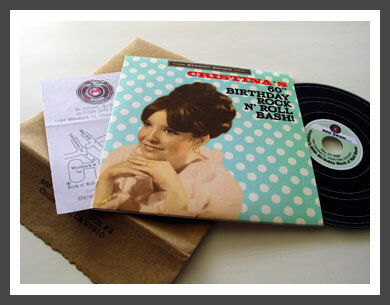 It's an actual cd, and the record effect is done with a cd label.